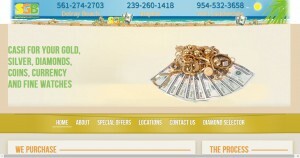 Sunshine Gold Buyers address, phone, website, hours of operation, and more. We have more than 150 years of combined experience in the precious metals, rare coins, fine watches and retail industry. We are dedicated to your complete satisfaction and provide a safe, fun and learning experience while you are receiving the highest payout for your treasured items in the industry today. We have 6 locations to serve you. 2 stores in Naples, 2 stores in Ft. Lauderdale, and locations in Pompano and Delray Beach. We are open 7 days a week with special appointments if needed to accommodate all our customers’ needs. One of our knowledgeable staff can visit you for estate purchases. At Sunshine Gold Buyers we believe in making sure that all our customers are well educated by us before selling any of their items. When it comes to precious metals like gold, silver or platinum we want you to understand the process of testing so you know their true value. All our professional buyers are well educated and go through our own certified training courses before waiting on their first customer alone. Some Buyers are GIA diamond certified already while all others are in the process of taking GIA courses and being certified. (No other Florida gold buyer can make that claim and be truthful about it.) Joe Tuttle & Michael Brown the founders of S.G.B. believe their Regional manager Glenn C. Foster and all of our professional buyers need to have the best in depth training and education to be able to serve our customer with the highest quality of service that is available in this industry today. We believe that without loyal, happy and returning customers no business can be successful. As Florida’s premier gold buyer we have created a rewards program for our customers to say thank you for your Repeat business and for referring us to new customers. You may ask what that does for you. After signing up customers can receive special promotions such as an extra 5%-10% on the items we buy.More importantly if you refer someone that has never done business with us before and we buy their items, you will be rewarded with cash on the spot.. It’s that easy just refer them and if we buy you are rewarded. 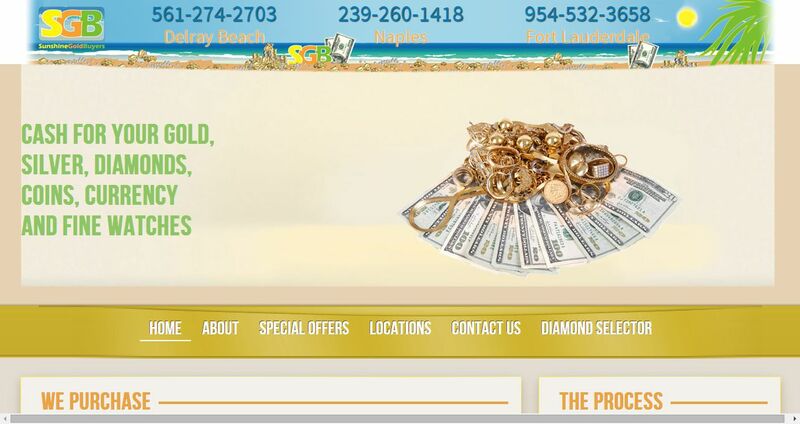 No other cash for gold business in Florida offers a true rewards program. We do and we pay cash on the spot to say thank you for your loyalty and continued patronage.